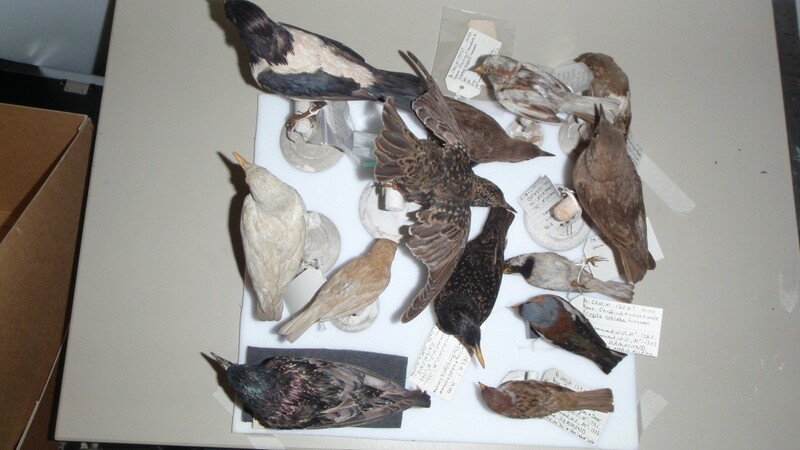 Much of Canterbury Museums taxidermy collection is loose taxidermy and is stored in shelved cupboards without any additional physical protection from handling, movement, or insect pest damage. 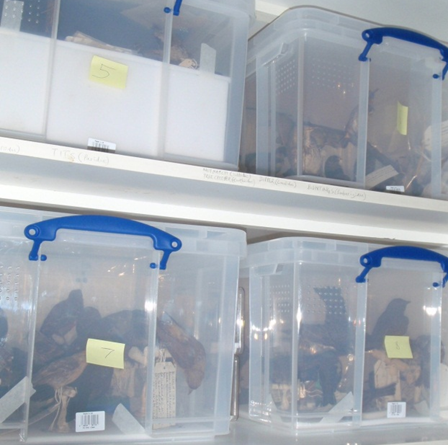 A pilot project was carried out in 2013/14 to develop a new storage system for this section of the taxidermy collection to improve its care and management. To get a feel for what might work in practice I sent an email to the NATSCA Mailing List asking for ideas on what works well and what works not so well. Based on the plentiful feedback I received, I evaluated the advantages and disadvantages of the methods suggested. 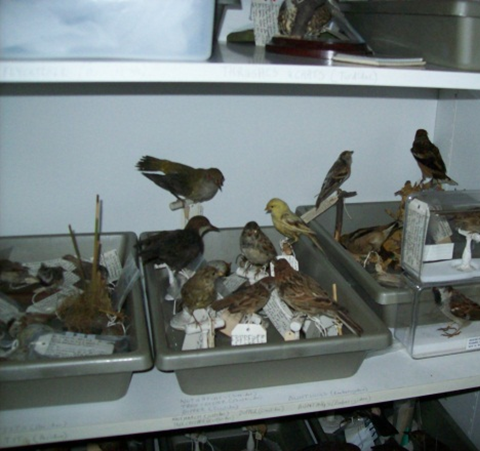 From this initial research it is clear that there is no single method that can satisfy the needs of the great variety of sizes and shapes of taxidermy that exist in museum collections. Some methods are of course better than others in satisfying similar aims but cost is also an issue. It was decided that a method based on Really Useful boxes was the best solution. The main reasons were the amount of time needed to prepare each box was minimal, there were very good offers available to acquire the boxes cheaply at the time and the sizes available matched up very well to the storage cupboards. Plastazote was first cut to fit the boxes. 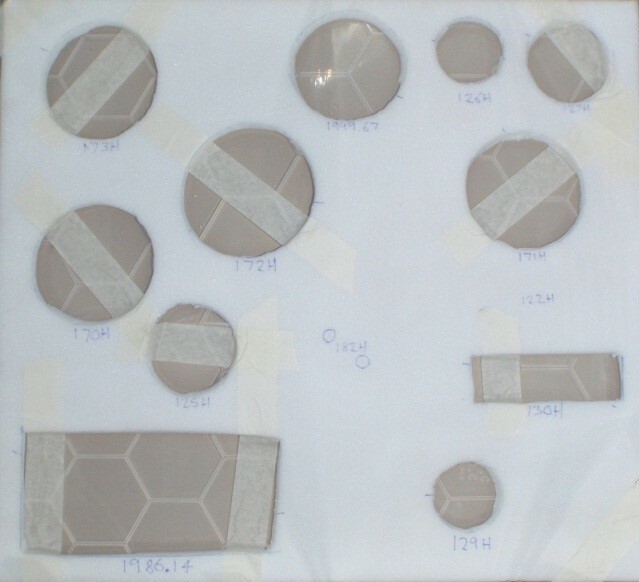 Then the bases of specimens were drawn around in pen with the specimen number written alongside and orientation to enable easy identification of what goes where. A list was also kept of the contents of each box. The foam was cut using a Stanley knife and affixed to the bottom of the box using masking tape. The birds were then carefully slotted into place and the boxes were labelled and the location documentation was updated. 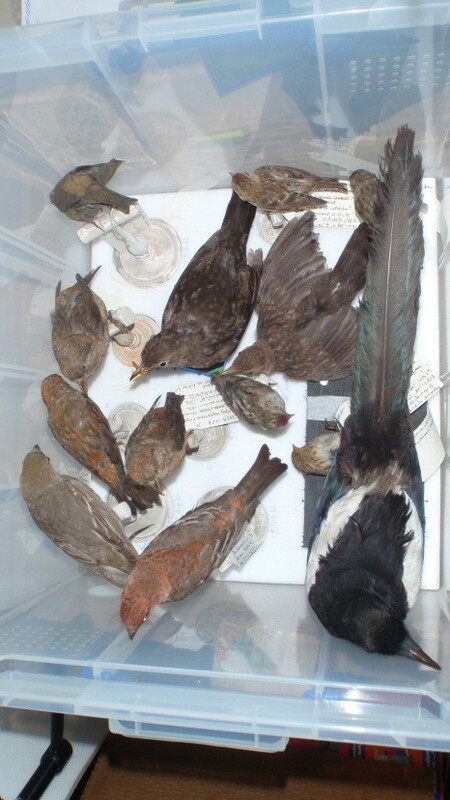 127 items of taxidermy have been rehoused and are well supported in robust, waterproof and conservation standard materials that are easily moved without the birds toppling and they are transportable. This will limit damage to the collections through preventing unnecessary handling, toppling, and pest attack – increasing their long term care. Each specimen now has a specific box location linked to the database so that it can be found easily when required. I’d like to thank my colleagues and the NatSCA community for their help with this project.